In St. Faustina's diary, Jesus tells her: "At three o'clock, implore My mercy, especially for sinners; and, if only for a brief moment, immerse yourself in My Passion, particularly in My abandonment at the moment of agony. This is the hour of great mercy...In this hour I will refuse nothing to the soul that makes a request of Me in virtue of My Passion." (1320) This CD will help you keep that 3:00 habit! Track 1, the "Opening Prayer" is the prayer to be said at 3:00 and then it leads you through the Chaplet and other sung prayers from St. Faustina's diary. 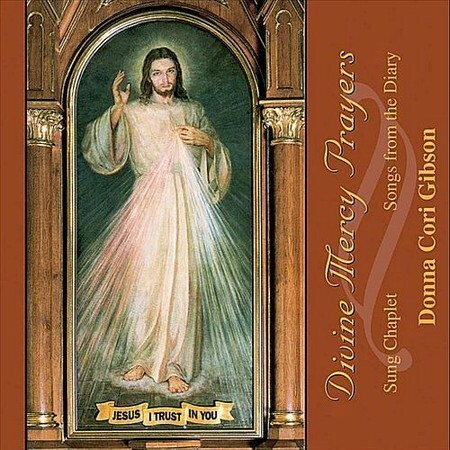 All the songs from this CD are featured on the audio version of St. Faustina's Diary produced by the Congregation of Marians of the Immaculate Conception of Stockbridge, MA.